Chopta is one of the most beautiful hill station place to visit Uttarakhand in winter time. From a perfect snow covered hill top to bird eye view valley spot, this place is attractive thousand of travelers every year. It’s again after a long time to see a heavy snow fall in the most beautiful tourist place in lap of Uttarakhand. 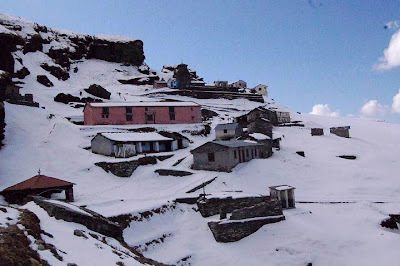 in this winter season, while the cold weather is on peak of it, heavy snow felled in the whole Kedarnath valley but the beautiful things is that as Chopta is the most visited tourist place during snow winter season along with Tungnath temple, these two area strongly filled and all covered with snow. all around is seeming white and white snow. hundred of local visitors came here with their family and friends and enjoy the snow during the most beautiful time of the year between the Christmas and new year week. 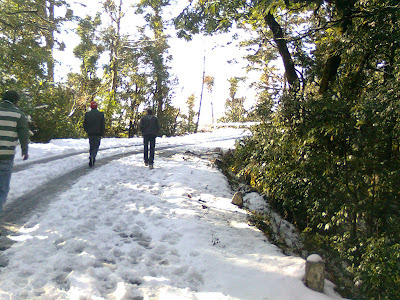 In 2013, snowfall in Chopta was recorded about 7ft high. a heavy snow sheet was everywhere near valley seems to fully merged in snow.